Mixed reality: not just virtual reality, but a whole new concept in which any object with a complex internal structure can be fully, not just represented, but reproduced as a fully three-dimensional object with which it is possible to interact through your own physical movement. Fostech AS, headquartered in Fosnavaag, Norway, has been developing and pioneering this amazing technology since2016. 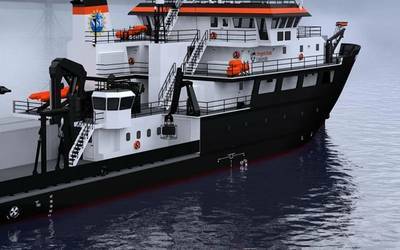 “This part of Norway has had the same kind of influence over the global maritime industry as Silicon Valley has had on the global tech industry in recent decades,” said Havard Notøy, Fostech’s Founder and CTO. 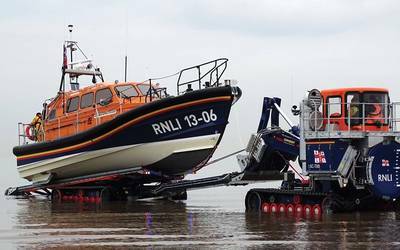 “This heritage comes from the region’s fostering of fishermen operating in some of the most harsh environments to be encountered and the companies that operate here are proud of the fact that state-of-the-art ship design, equipment and solutions from the region are now in operation all over the world. 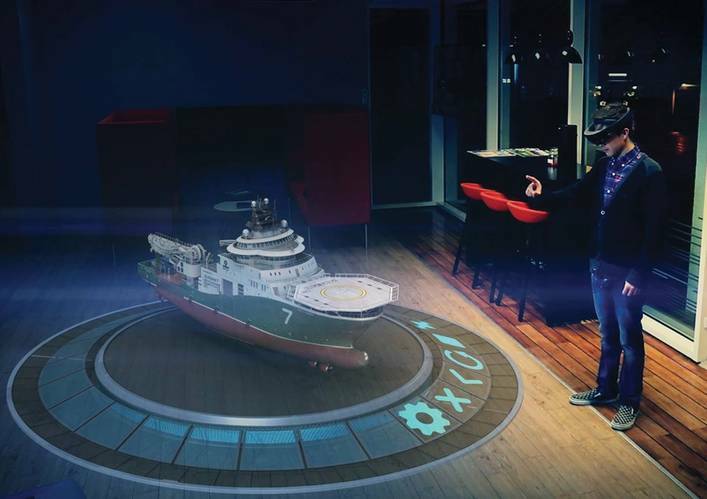 This is the reason why Fostech focuses on delivering state-of-the-art holographic solutions for the global maritime industry in recognition of the push towards autonomous vessels and operations, and therefore a reduced onboard crew presence. So what exactly is mixed reality? A mixed reality (MR) experience combines elements of augmented reality (AR) and virtual reality (VR) to enable real-world and digital objects to interact. Augmented reality simply adds digital elements to a live view, often by using the camera on a smartphone (examples of AR experiences include Snapchat lenses and the game Pokemon Go), while virtual reality implies a complete immersion experience that shuts out the physical world. Using VR devices such as HTC Vive or Oculus Rift, users can be transported into a number of real-world and imagined environments. 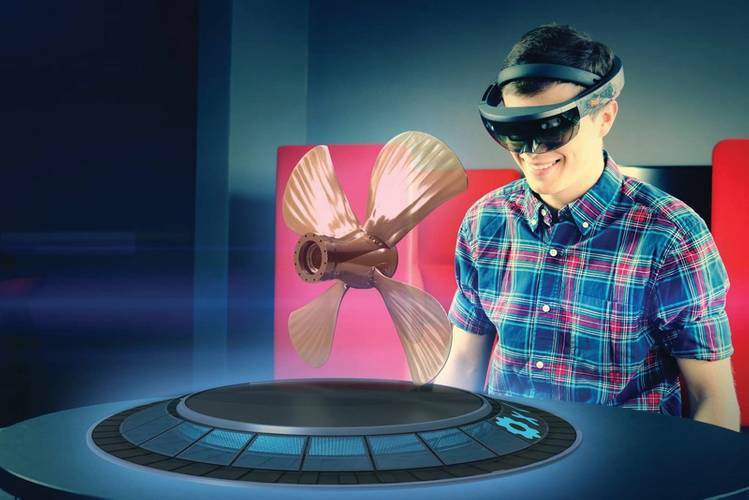 Mixed reality technology is just now starting to take off, with Microsoft’s HoloLens as one of the most notable early mixed-reality apparatuses. The current estimate of the size of the market in 2023 for the global delivery of AR, VR and MR hardware and software is in the range of $100 billion to $200 billion and VR, AR and MR are currently among the fastest growing tech industries globally. The areas of the maritime industry where Fostech’s MR technology has the potential to deliver solutions include sales and marketing, maritime video communications, education and training, sales and maintenance, and other operational solutions, and for companies interested in the potential applications of MR in their maritime business, Fostech recommends that they “dream big but start small”, understand their “as-is” working processes, and involve end-users in their decision-making. It is essential that they determine what drives customer value and that they look to see what areas of business can be improved, for example production efficiency and determining optimal production flow, achieving the highest possible quality levels and “getting it right first time”, and, finally, ensuring that critical procedures such as the most expensive or most time-consuming ones are optimized as fully as possible. Fostech has developed the Fostech HoloPodium v2.6 Configurator, a proprietary presentation platform/configurator that manages 3D animations, voice instructions, text instructions, warnings and notes to reduce MR systems development time and costs by about 50 percent and ultimately making it less expensive to develop MR solutions compared to the traditional animated movies of old. The Fostech HoloPodium supports a number of animation systems including Microsoft Hololens, PC and various mobile platforms. The next developments will be to include multiple same-time users to allow classroom-based use of the system and to enable external participation: the company is currently looking for a commercial partner to support its work in these areas and complete these technology development stages. Fostech is also developing its own Maritime APP Store (www.themaritimestore.com),an online augmented/mixed reality store meant for the maritime sector, where customers can subscribe to hardware and selected software solutions. The intention is that most of the company’s customer projects can be published on the Store, with shipping companies as the ‘number one’ customers being featured, while one of the benefits of the Store for equipment manufacturers is that they will have full control of where their solutions will be distributed. Notøy commented that nothing similar exists today and that the solution has the potential to become some kind of a disruptive force in the industry.